This months Juice has an interview with Dan Tag by Jim Murphy…a must read!! If you want the rest of the interview you will have to go out and buy a copy (hell! get a subscription) of Juice number 65…then call me on skype and read it into my answer machine please. 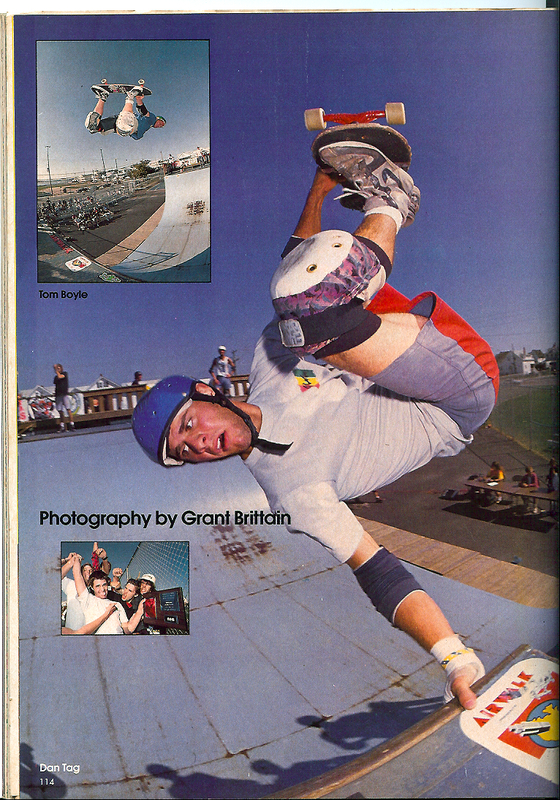 Dan’s no stranger to frontside invert skate mag fame…this mag (Transworld I think) highlights his win at OC Maryland…Somethings never change. This entry was posted in Dan Tag, FDR Skatepark, Ocean City, Photos By J. Grant Brittain, TEAM STEAM, Tom “The Rock” Boyle and tagged ART, backyard ramps, boards, Dan Tag, east coast, Grant Brittain, house of steam, jason, Jason oliva, jasonoliva, Jim Murphy, Juice, New Jersey, New York City, oliva, paintings, photography, pool Skating, ramp, ride, sk8, sk8t, skate, skate decks, skate history, skate photography, Skate ramps, skate trucks, skate wheels, skateboarding, skateboarding history, skateboarding photography, skateboards, skatepark, skater, SKATERS, steam, Street Skating, team, TEAM STEAM, The Barn, The House of Steam, thos, vert, vert ramps, Vert Skating on January 25, 2009 by jasonoliva.